The clinical laboratory industry continues to be a hotbed for Medicare and Medicaid fraud, as well as fraud and overbilling in connection with tests covered by private insurance. Laboratories promise doctors they will never collect co-payments or patient deductible payments from the doctors’ patients. This is of great benefit to the doctors, who are able to attract and retain patients’ business by promising free lab testing. 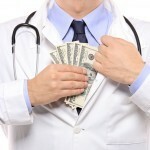 Payment of sham “packaging and handling” or “draw” fees to doctors for each test ordered, often attempting to disguise those payment by funneling them through a third-party phlebotomy company, or making the payments to doctors’ staff members. Encouraging the ordering of unnecessary medical tests as part of pre-selected panels or bundles of tests. Routing testing through small hospitals to generate inflated reimbursement. Writing-off or writing-down already discounted client bills. Each of these schemes leads to false and fraudulent bills that can subject laboratories to significant liability and damages under the Federal False Claims Act, various state False Claims Acts, and the California Insurance Fraud Protections Act.